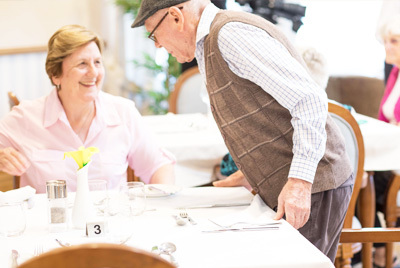 At Berrington, it’s no surprise that we love to go above and beyond for our residents–and we always do so with a smile. Our fine finishes go beyond residential suites and into our dining areas where you’ll find crystal stemware, double-linen table clothes and beautiful porcelain plates adorning the tables. 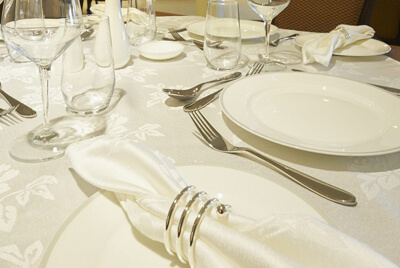 Simply put, we don’t see food as just another meal–with us, fine dining is an experience to be enjoyed. 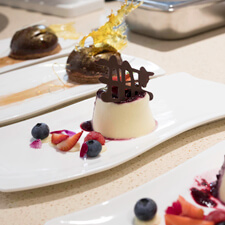 Our chefs trained at top culinary schools and truly enjoy crafting delicious meals for our residents seven days a week. 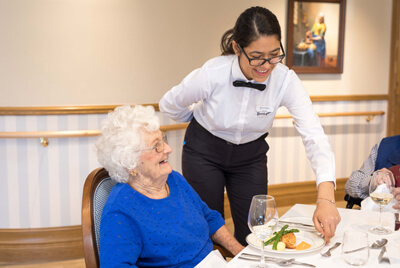 When it comes to dining, we ensure our residents enjoy meals that are not only handcrafted but healthy and diet specific. We believe in offering an array of delectable cuisine, allowing your loved one choices at each course, three times a day. For smaller appetites, we proudly offer a-la-carte options at each meal. 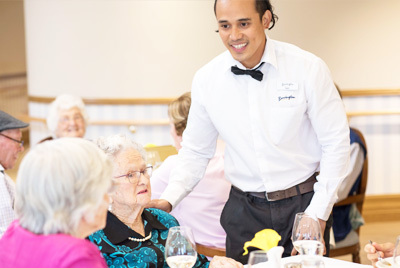 Our dedicated wait staff are trained and ready to provide your loved one with an incredible experience. 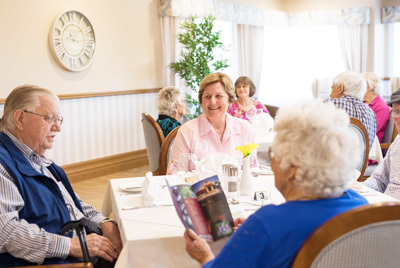 We’d love the opportunity to meet you and show you firsthand the heavenly cuisine our residents enjoy each and every day. 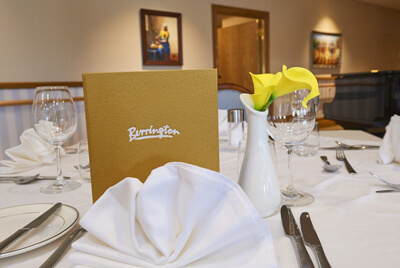 Schedule your private, complimentary tour today–we look forward to helping you experience the Berrington difference.